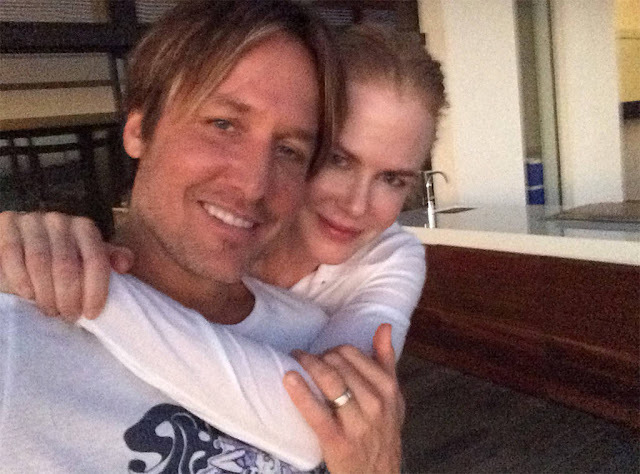 Keith Urban loves Nicole Kidman—like...the most. The totally-in-love country crooner gave his wife of 11 years a big shout-out on their anniversary with a too-cute Instagram post. Sharing a trio of candid and casual photos of the A-list couple known for ruling the red carpet, the total romantic wrote, "Happy Anniversary Babygirl Eleven years and you still feel like my girlfriend!!! - Ku" Keith and Nicole, who share two daughters Sunday Rose and Faith, first met at the 2005 G'Day USA gala honoring Australians in Los Angeles. But of course, it took him four months after that fateful encounter for the Australian singer to actually get up the nerve to call his future wife.